We do all alluminium related works like ... window, partition, doors and lowers etc. Being a well-known organization with the latest market trends, we have come up with an attractive range of Aluminum Jali Fabrication Service. In tune with defined industry norms, this service offered with the help of talented professionals. Furthermore, our valued clients can avail this service from us at leading market prices. 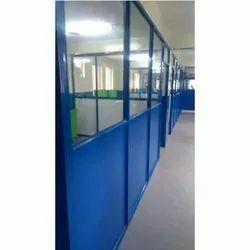 We are one of the renowned and well-known industries which are extensively engaged in providing several kinds of supreme quality Aluminium Fabrication Services in the market. 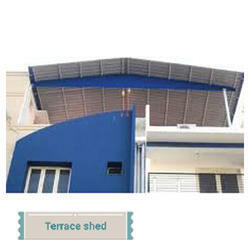 Provided services rendered using premium quality fabrication tools. Apart from this, we are providing these Fabrication Services within the stipulated period of time. Om RV Interior enclose a complete new range of Sliding Window , Door Series, but in aluminium profile from Sliding Window Series , Openable Window and aluminium partitions to suit different conditions of wind load , aesthetics , smooth , operability and affordability quality accessories , tested under stringent conditions with design supports.